Hard cheeses need to be aged for at least one month (and usually for 4-6 months) to fully develop their flavour. 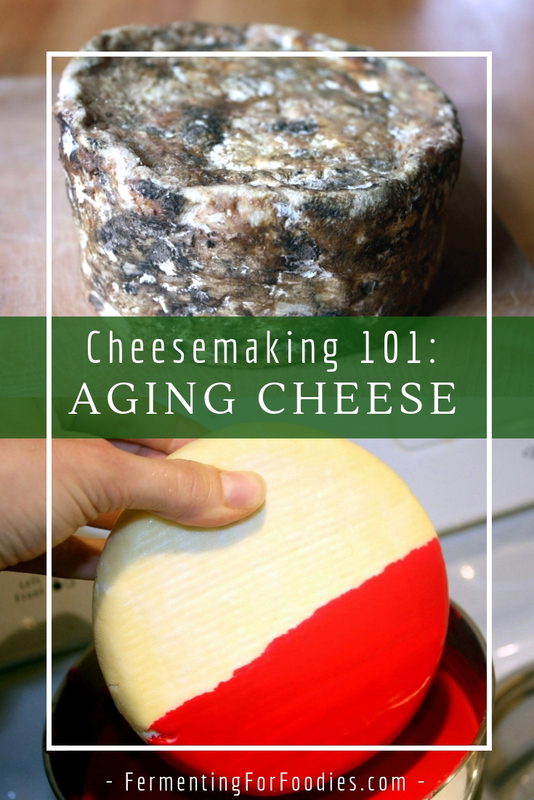 Here is everything the DIY cheesemaker needs to know about aging hard cheese in their own home. 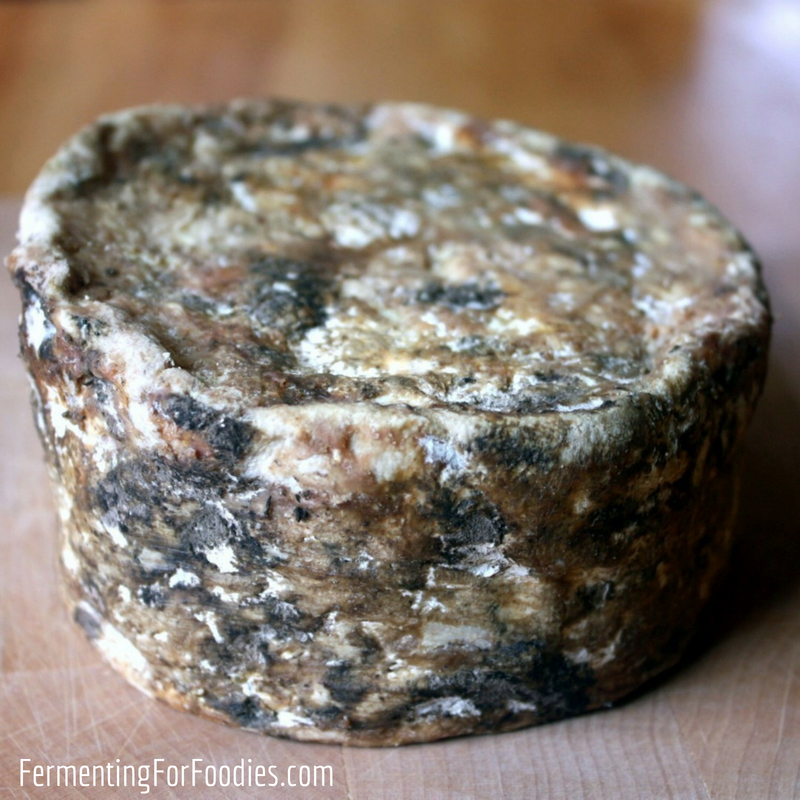 Note: This post on aging hard cheese is part of a series of posts on cheesemaking. 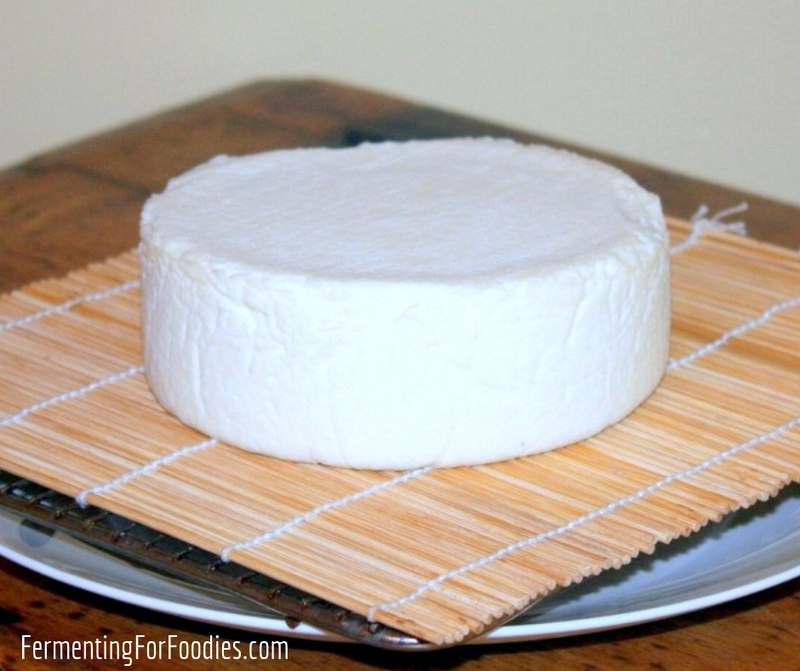 Check out Cheesemaking 101: Overview for a complete list of topics. A temperature range between 45-55F (10-15C). 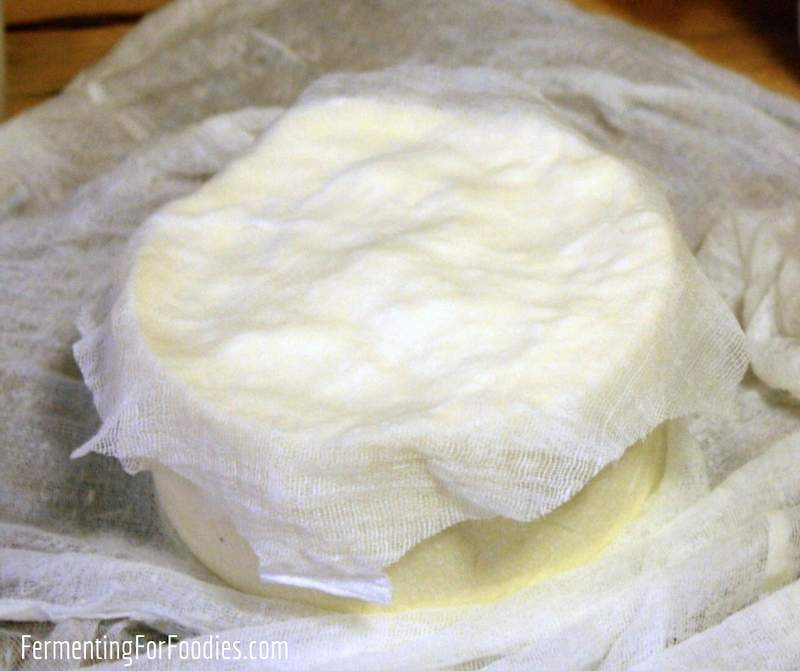 Humidity levels are less important when aging waxed cheeses, as the wax seals in the moisture. 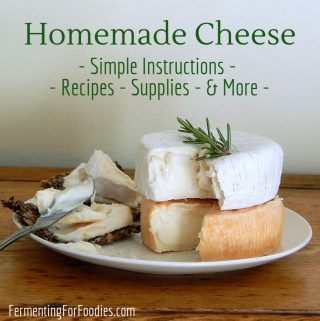 To maintain the proper humidity when aging bandaged or washed cheeses, age the cheese in a large, sterilized plastic container with the lid wrapped in a tea towel to prevent accumulated moisture from dripping from the lid onto the cheese. , sushi mat or a piece of wood to allow airflow underneath the cheese. Wax is the traditional rind for many types of cheese; including, cheddar and Gouda. Here’s how to wax your own homemade cheese. Be sure to keep your hands and everything else sterile throughout the waxing process. (not just bees wax) and buy a cheap metal bowl to melt it in because it will never come clean after being used for wax. Melt wax slowly over a double boiler method. Be careful because the wax is highly flammable. Turn on the hood fan to pull the fumes of the melting wax away from the hot burner. Heat the wax to 240 F / 115 C before coating the cheese. This will be hot enough to kill any mold or bacterial spores that might be on the surface of the cheese. Place the waxed cheese in your cave to age. Turn the wheel over daily for the first month, then weekly for the remaining period of aging. This will prevent any excess moisture from building up on one side of the cheese. Cheese wax can be reused. Simply clean the wax with soap and water then add it back to your melting pot. A bandaged rind is definitely my favourite. I love the way I don’t need to worry about the mold growing on it and it is much easier that waxing cheese. Bandage wrap cheese wheels immediately after pressing. Don’t dry it out. Cut 2 long rectangular strips of butter muslin and 4 circles of butter muslin. You want them to be a bit larger than your wheel of cheese so that the bandage can completely wrap around the cheese. Once you have completely covered the cheese in the first layer of muslin, then rub the cheese in lard again and apply a second layer of muslin. You can repeat this process for up to 4 layers of muslin bandaging, but I usually do 2 layers. Age the cheese on a cheese mat in your cave. Turn daily for the first month, then weekly after that point. Many different kinds of mold will grow on the outside of the bandage. This will add to the flavour of the cheese and protect the cheese from drying out. It will all come off when you remove the bandage. (See the first picture of moldy bandaged-wrapped cheese below). The cheese is finished when the mold has dried out. Then just peel off the bandaging and enjoy! These pictures are of the same wheel of bandaged wrapped cheese. The first one is of the fresh mold. In the second picture, the mold has dried out and the cheese is ready for eating. 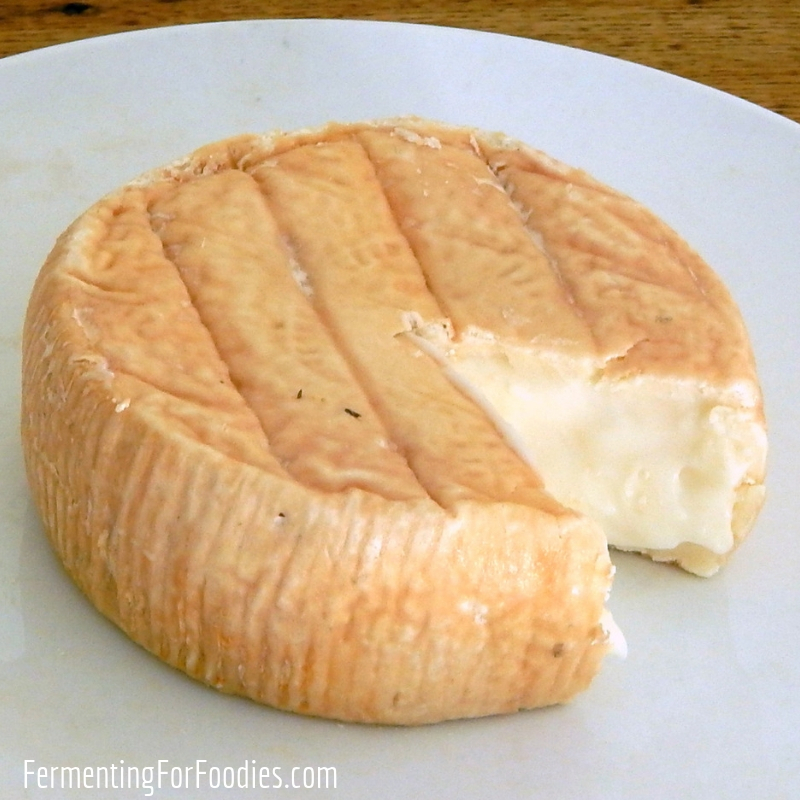 This is the most difficult rind to maintain, however, many, many cheeses have a washed rind. 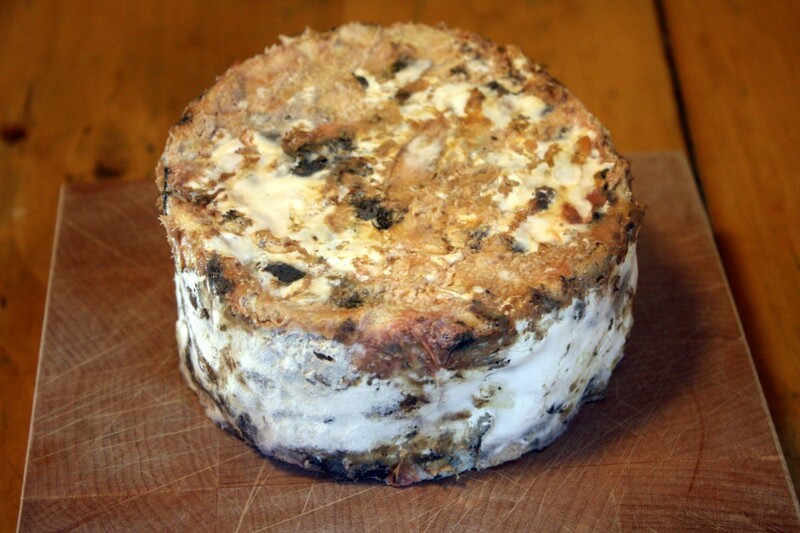 It is great for flavour development, which is why most strong tasting cheeses have a washed rind. After pressing, put your wheel of cheese into a salt brine for 24 hours. After 24 hours remove the cheese (saving the brine for washing). With a clean cloth, pat the cheese dry. 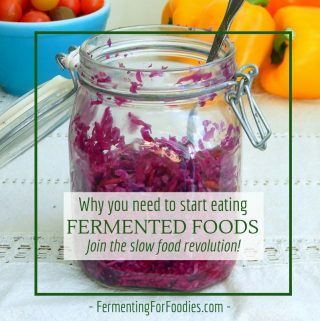 (You can sterilize cloths by steaming over a pot of boiling water for 15 minutes). Move the wheel to your cave and let it age on a cheese mat. Turn the cheese daily for the first month, then once a week after that. 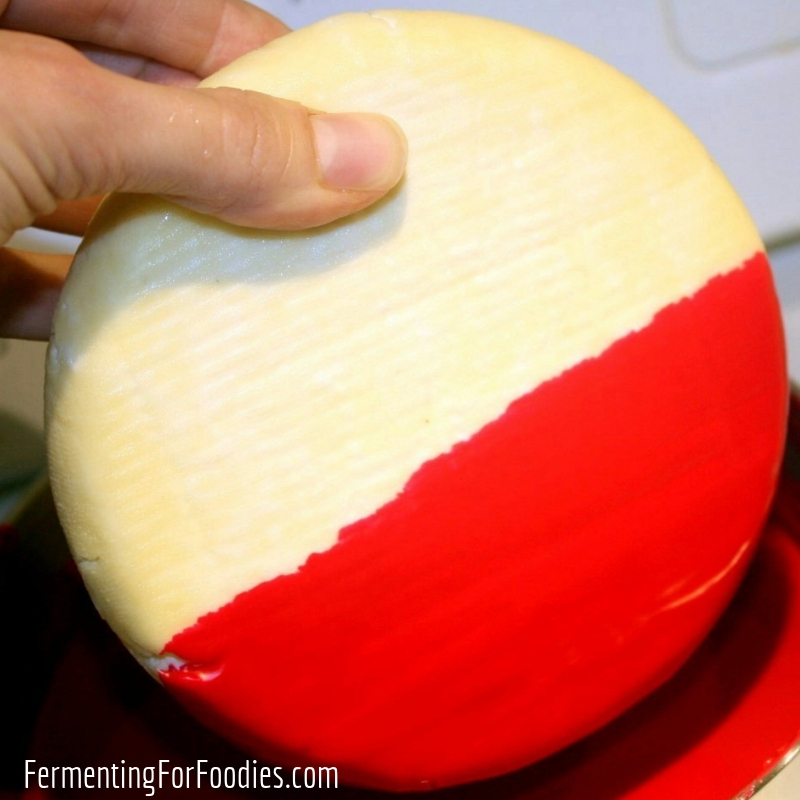 Every 3 days, wipe the cheese down with the leftover brine solution. 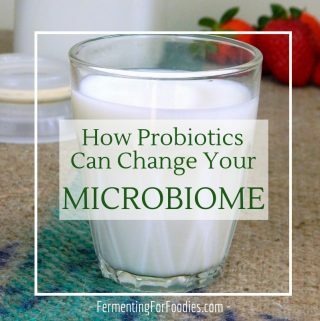 This will keep the cheese moist and encourage the right type of bacteria to grow. Most salt-washed cheese develop an orange coloured mold. However, you might grow all different colours of mold: brown, white or green. None of these molds are harmful as long as they stay on the outside of the cheese. This link on Surface Defects will tell you what to do if the wrong type of mold is growing on your cheese.